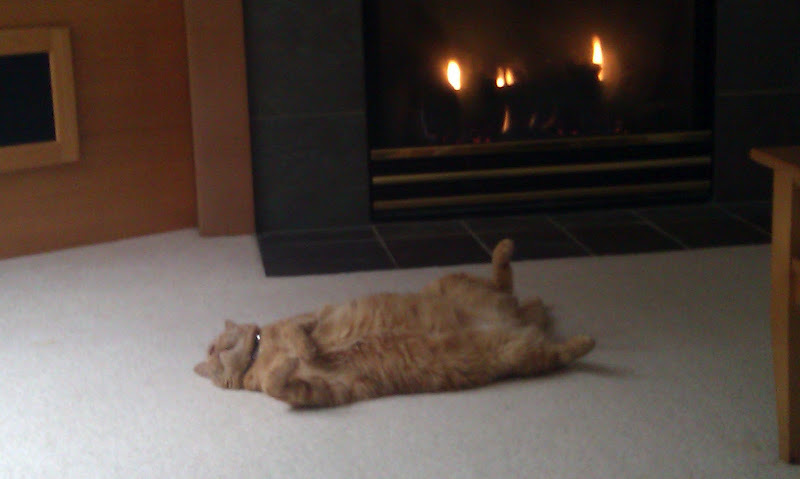 FDR had Fireside chats.... we have Fireside cats. Conan has a foam fetish…. as in we used to have two cat beds, much loved and well used, but Conan liked to pull all the foam out from the bottom. So now we have strange misshapen lumps of former cat beds. 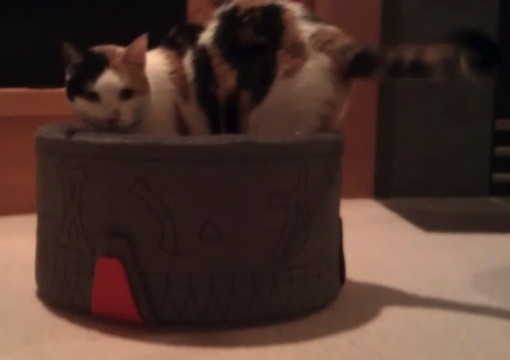 So I thought I’d see what kind of unusual geeky cat beds were out there in the world… and frankly the pickings were pretty slim. There was one person with her Millenium Falcon pillow bed… and lots and lots of fish. So with some thinking and pondering I finally hooked on one familiar circular shape…. a Stargate! You know that movie with Kurt Russell and James Spader where they travel through a giant circular wormhole gate to another planet and defeat Ra, that spun off a TV series(SG1), and then another TV series(Atlantis), and another TV series(Universe). THAT! Sonja was quick to test the gate out. My gate has 9 symbols (including Earth, my birth sign, and Ben’s birth sign) and 3 chevrons. The interior floor is done in a wormhole blue. Most importantly though… the bottom foam is covered with canvas to keep out a certain foam fetishist. 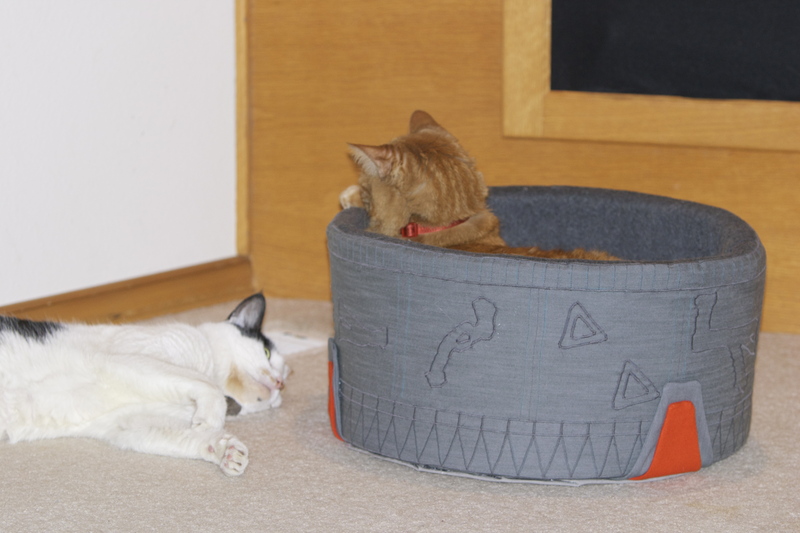 Update: Well it took a few days but Sonja finally considered sharing her Stargate Bed with Conan. Sharing... but only until the Atlantis version is done!